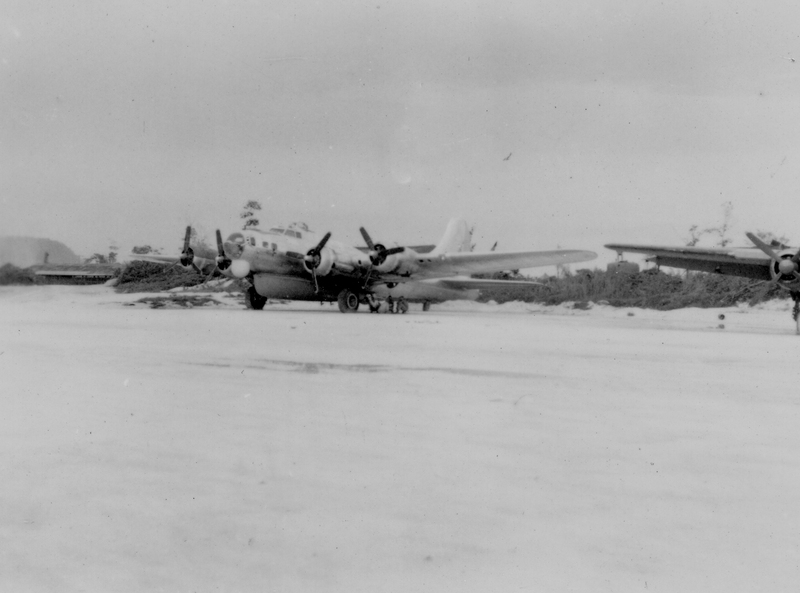 A Flying Dutchman B-17 awaiting its next mission at Ie Shima in August 1945. 5th Rescue Group. 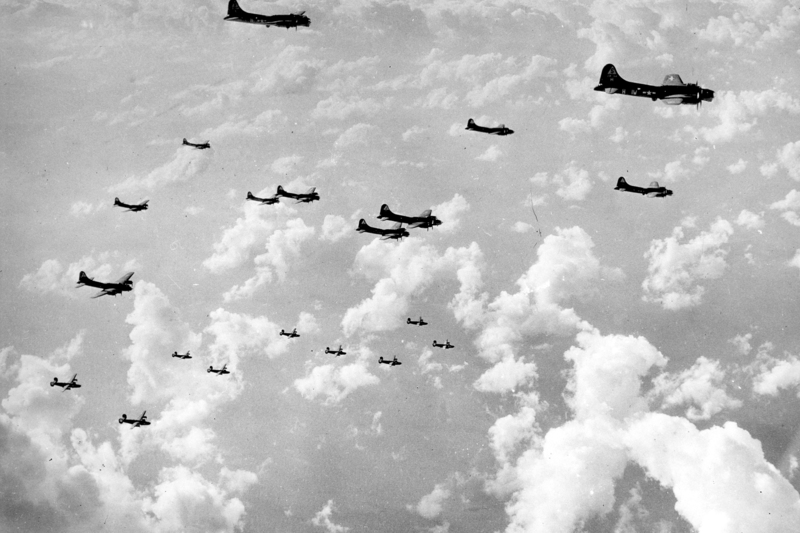 The 401st Bomb Group over Germany, December 30, 1943. As the war ended in Europe and the air offensive against Japan became the focus of the USAAF’s last efforts in WWII, the B-17’s day as America’s work horse bomber came to an end. Most of the Forts still remaining in service with the 8th and 15th Air Forces would soon be scrapped or sent to bone yards. A few dodged that fate when the USAAF converted about 130 to perform a much needed and unheralded role in the Pacific. The vast distances between targets in Japan and the B-29 bases in the Marianas assured that many crippled Superforts would end up in the Pacific. Submarines were posted along the strike routes to help save the crews that went into the drink, but the USAAF needed their own Search And Rescue squadrons to help find those men. A number of air rescue squadrons were already in service in the Pacific, mainly flying the venerable PBY Catalina. In the final months of the war, the USAAF began employing modified Forts in the SAR role. 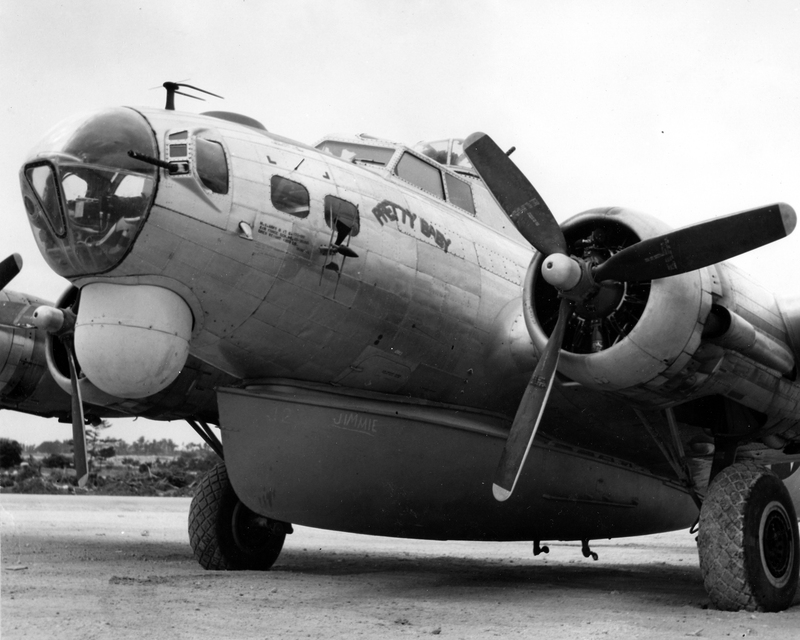 Dubbed the B-17H “Flying Dutchmen,” the planes carried an A-1 Higgins lifeboat under the fuselage. Twenty-seven feet long, self-bailing and self-righting, these boats could be dropped by the Forts to downed crews bobbing on the Pacific swells. Three parachutes would deploy and help ensure the boat landed in the water safely. Once aboard, the wet airmen would find blankets, provisions and survival gear waiting for them, all carefully stowed in the A-1. The Flying Dutchmen also carried search radars in place of chin turrets. 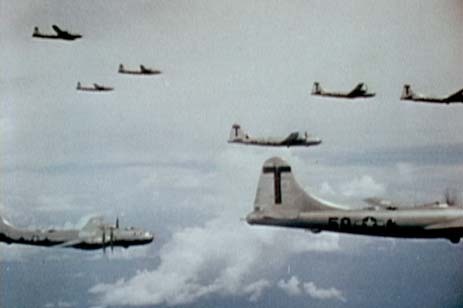 Operating from Ie Shima Island in the final weeks of the war, the Flying Dutchmen of the 5th Air Rescue Group saved a number of B-29 crews before the Japanese surrender. They continued in USAAF and USAF service, performing their vital duties in the Korean War and beyond until 1956. After 1948, they were redesignated SB-17G’s. Professor Edward Mooney has shared a link that shows how the Higgins Boat was deployed. Thank you Dr. Mooney! 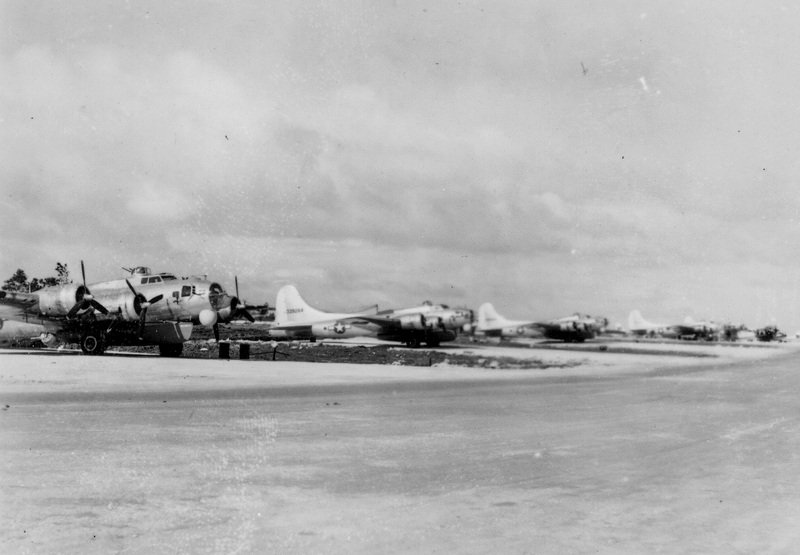 The 5th Rescue Group’s B-17H’s at Ie Shima Island, near Okinawa. Seen in August 1945. This was my uncle, John R. Moore’s unit.